Upon discovering Karen Hsiang's stunning array of elegantly feminine and delicately precious jewellery I immediately knew I wanted to find out more about the person behind the brand. 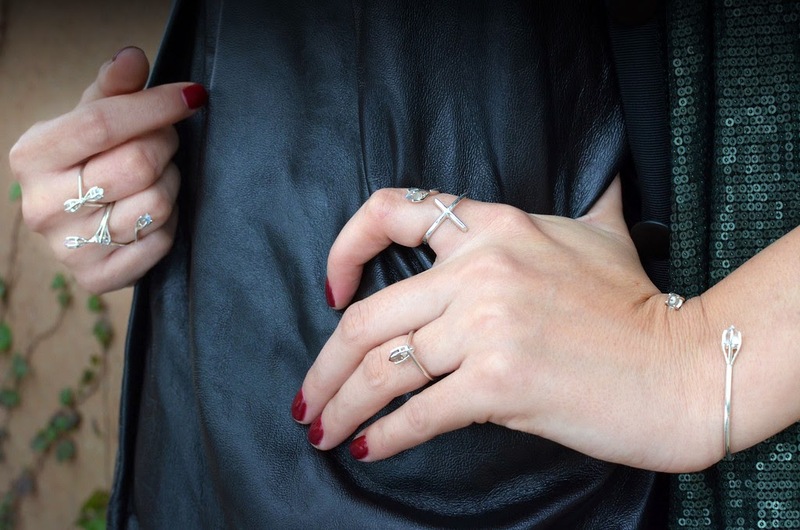 The effortless ability to abundantly layer her jewellery without looking too overdone when in fact, it's still not enough, is the fundamental beauty of the jewellery concept. Her curvature rings are her most defining pieces from the entire collection; inspired by the dancer's lithe body and the sensuous shapes and movements the body creates. Her curve ring and lariat necklace are my absolute personal favourites. Without much further ado Karen let us in behind the making of Karen Hsiang jewellery and her insights of the illustrious world of jewellery. 1. What made you realise you wanted to become a jewellery designer? I've always had a knack for jewelry ever since I was little. I would play in my grandmother's jewelry box for hours on end. In high school I would make statement necklaces out of mini toys and legos and sketch out pages of jewelry in my free time. I never in my wildest dreams thought I could be a jewelry designer! It was always something I thought was unattainable, so even now I'm pinching myself all the time! 2. How did you start off in the jewellery industry? I kind of fell into it actually. My job at the time was not fulfilling me creatively so I started an e-commerce website that sold and handmade jewelry on the side. It was doing well, but I wanted a space that I could interact with customers on a personal basis. A year later I opened an actual brick and mortar shop and the rest is history! 3. Congratulations on setting up The Shangri-la boutique in Los Angeles, it is quite unique! Tell us a little about it. Thank you! It's been the most amazing experience! I opened the space so customers can try on jewelry and feel the tangible product and see the actual fit and drape on the body. I love the personal aspect of an actual store. The best part is seeing all the amazing jewelry my customers come in with! The boutique is nestled in a quaint airstream trailer, and I've been in that location for two years. I'm moving locations in a few months into a bigger space so I'm very excited about what's to come! 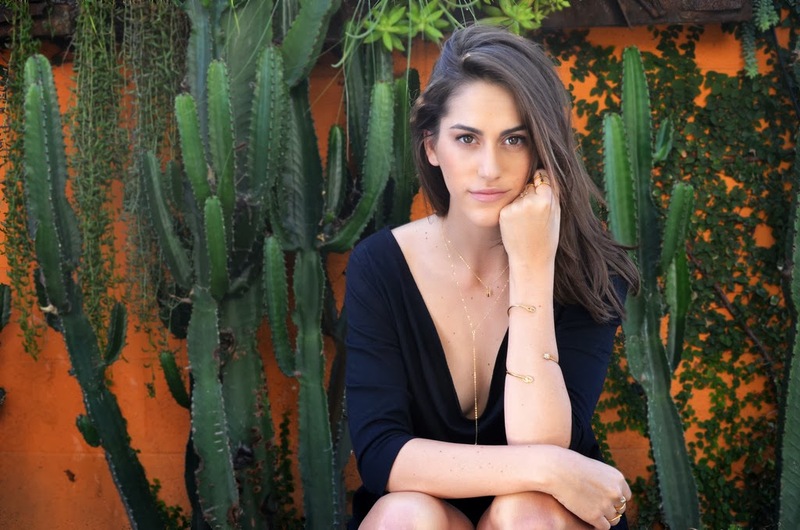 The jewelry I curate are pieces that are handmade by local and international artisans and are pieces that can fit into your already existing plethora of jewels, or great starter pieces for women who want to start a great collection. 4. You also represent fellow independent jewellery designers by stocking their pieces in your boutique. How important is it to support fellow independents alike? I think independent designers are the most creative and the most passionate about that they do. The blood, sweat, and tears us small designers go through need spaces like my boutique to showcase their amazing creations. It's hard to get your foot in the door in the beginning stages, and I love helping designers get their names out there. 5. You've created a signature piece with curvatures in your collections, what inspired you this idea? A long long time ago, in a land far away, I was a dancer. Dance has always inspired me in all my creative outlets and I think the body is such a powerful vessel for movement. The curvatures of the body and the sensual shapes the body can create is a big inspiration for my line. 6. How would you describe your customer base? My customer is a woman who loves well made and contemporary jewelry. She loves unconventional but timeless pieces that will carry with her for generations. 7. Do you have a favourite piece from your collection? What do you always wear? 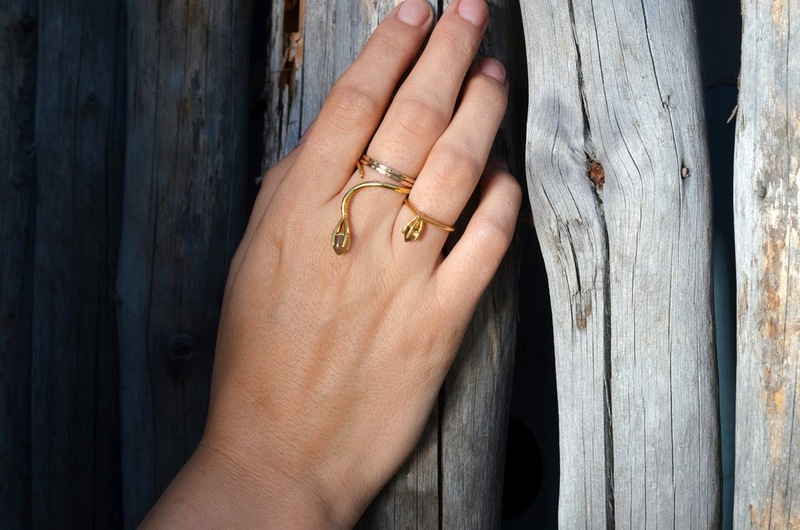 My Curve ring in 14kt gold has not left my hand since it was made! It sits perfectly in the crevice and curve of my hand, and it stacks amazingly with other pieces I have in the collection and other designers as well. 8. What are your future aspirations? I would love to be designing jewelry for the rest of my time here on earth. Even though it's amazing to see your jewelry in magazines and in print, the best feeling in the world is seeing your creations on a customer walking down the street. My goal is to see many women in day to day situations wearing Karen Hsiang Jewelry. 9. What advise could you provide for budding jewellery designers trying to set up their own brand? I think the best advice someone told me was to stay grounded and keep trying. It's hard to break through the walls of the jewelry industry, but it takes time and effort on your part. Don't give up! 10. Three words to describe your jewellery.